Well it was a great salmon season, as I can feel by the carpal tunnel in my wrists still. This magazine cover shows myself and my longtime pal/crewmate Conor Kelly, doing our thing. 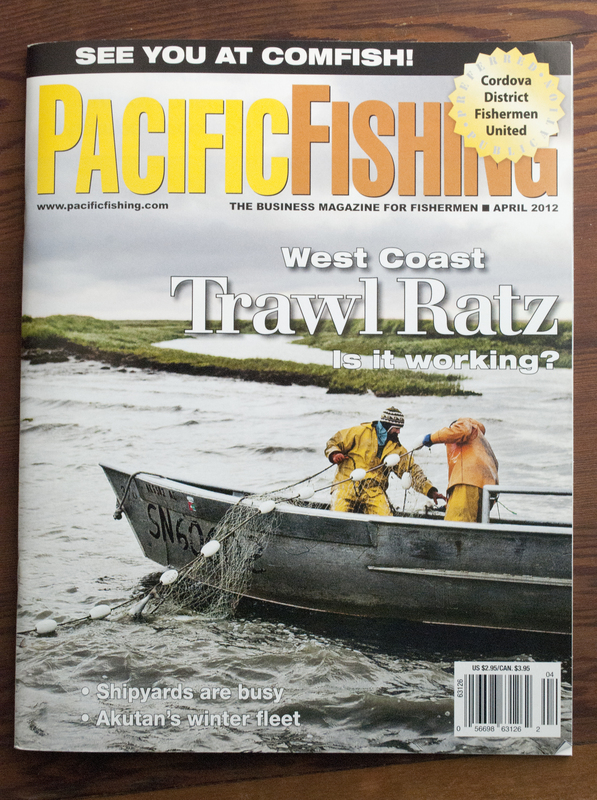 Our Graveyard Point neighbor, the talented Corey Arnold, was kind enough to use this shot for Pacific Fishing magazine. Keep a heads up for Corey's show this fall in Portland, which will be focusing on our fishing community at Graveyard! Also, things really seem to be heating up on the Pebble Mine issue up there. Which if you havn't heard, would put a massive strip mine directly in front of the spawning grounds of the Kvichak river (the district where I fish) and others. Please check out this video that Frontline has put together to educate folks on the situation. They point out it may be the greatest ecological battle of our time.